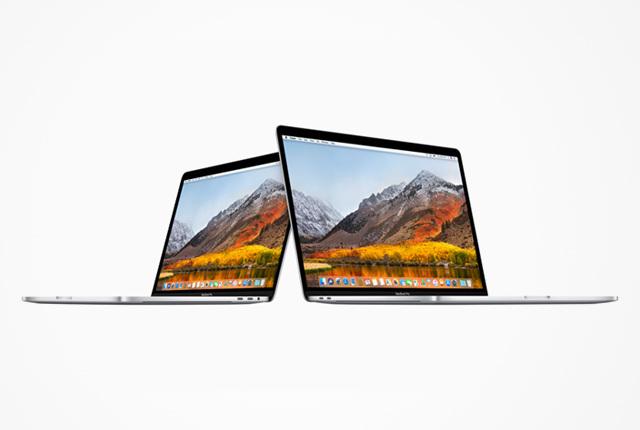 The iStore has revealed local pricing for the new 2018 Apple MacBook Pro range, which features improved hardware specifications. The new MacBook Pro models sport Intel 8th-gen Core i5, Core i7, and Core i9 CPUs, up to 32GB of RAM, and the Apple T2 Chip for improved security. Radeon Pro graphics, large Force Touch trackpads, the Touch Bar and Touch ID, stereo speakers, and Thunderbolt 3 ports are carried over into the new MacBook Pro line-up. A Retina True Tone display – with 500 nits of brightness and support for the P3 wide colour gamut – and an improved third-generation keyboard for quieter typing have also been included in the new MacBook Pro. Additionally, up to 4TB of SSD storage is available in the 15-inch model. Not all the new hardware options are available in South Africa, however, with the iStore not currently listing the Intel Core i9 version of the MacBook Pro. The models available via the local dealer – including their specifications and pricing – are detailed in the table below. All models include the Touch Bar.